CentaurStraps - Handmade leather watch straps: New leather available for your next vintage watch strap! 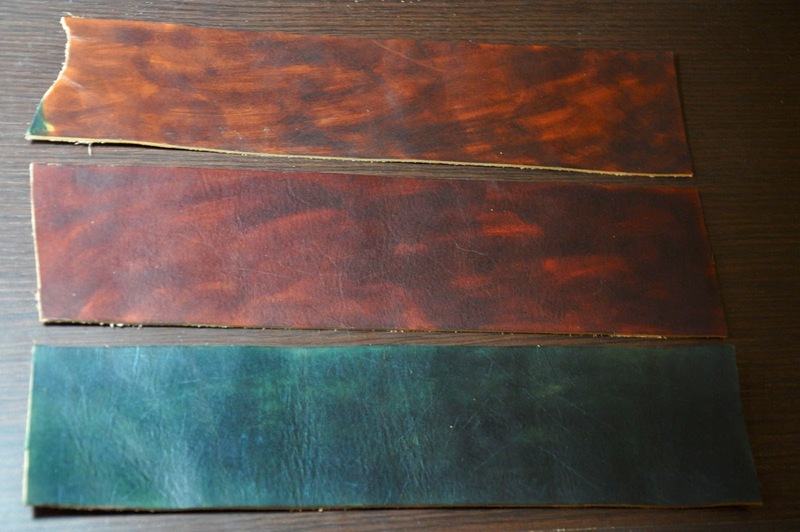 New leather available for your next vintage watch strap! I just dyed three pieces of leather, an olive green, a mahogany brown and a dark brown. All in vintage look and feel. They come from a cowhide shoulder, with a lot of character. Great vegetable tanned leather. Really love them! Note that the watch strap will be about ~4+ mm thick and that the colors can be further darkened upon request. If you also like them, just contact me to create a custom watch strap for you!